Greetings from the world of Bengal Handlooms. The festive season is upon us once again. The month of August signals the onset of the long season of festivities in India. Ganesh Chaturthi, Onam, Durga Puja, Dusshera, Eid-ul-Azha, Deepavali (Diwali) – the list is a long one. Christmas, New Year and Makar Sankranti wrap up the colourful festive season. The festive season is also the season of gifts, your expression of love to those you cherish. And what better gift than a beautiful handloom saree, the pride of India? You will love it when our sarees bring a smile to a loved one. 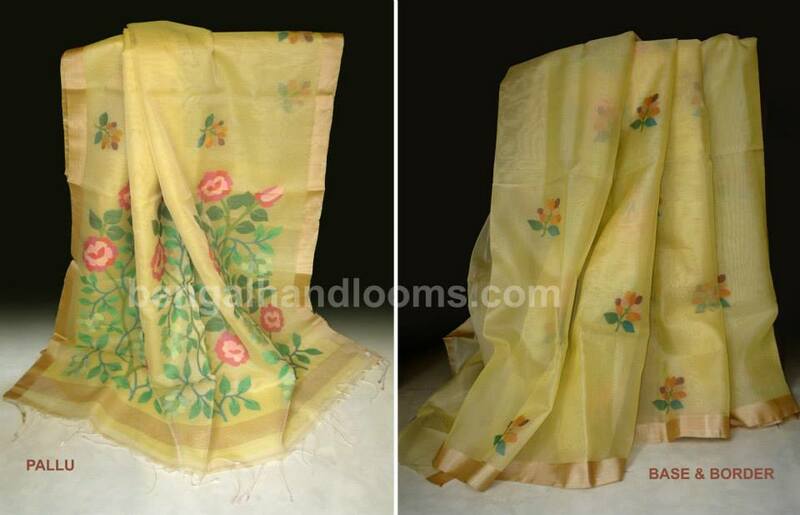 If you are located outside India, we at Bengal Handlooms offer an easy solution to your gift requirements. Choose from our range of hand-picked handloom sarees, crafted with loving care by master weavers of Bengal. We will gift wrap the item and ship it wherever in the world you want us to. I have often wondered why the gift of a saree is so special to us women. Why does a new saree, fresh off the loom, with its fragrance unique to new cloth, stir such a warm sense of well-being? How is it different from a perfume, a pair of jeans, a neat handbag or even jewelry? Is it because in the past, in more humble times, women did not make buying decisions – and a saree gift reaffirmed that the menfolk loved and cared for their mothers, sisters and wives (not necessarily in that order)? Is it because a saree, however avant-garde in design, is still steeped in such a long tradition that it has entered our DNA? The explanation I would like to believe is that a saree is a great complement and a compliment to the female form – whether one is eighteen or eighty.